It works for TextFileAdapters, for ExcelAdapter, I cast to the ExcelAdapter, but I then get an error that the "Filename" property is not available on the ExcelAdapter. Is there a different propertyname? yes, the excel adapter uses a different property name for this. 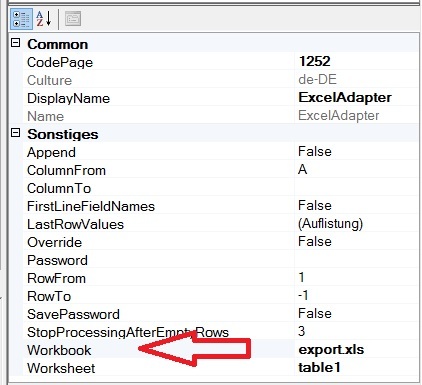 you have to use "workbook" instead of "filename". you can find out the valid property names by using the adapter property view in the designer . please have a look to the attachment.